for $1,450,805. The lot size is 146546.00 Sqft. 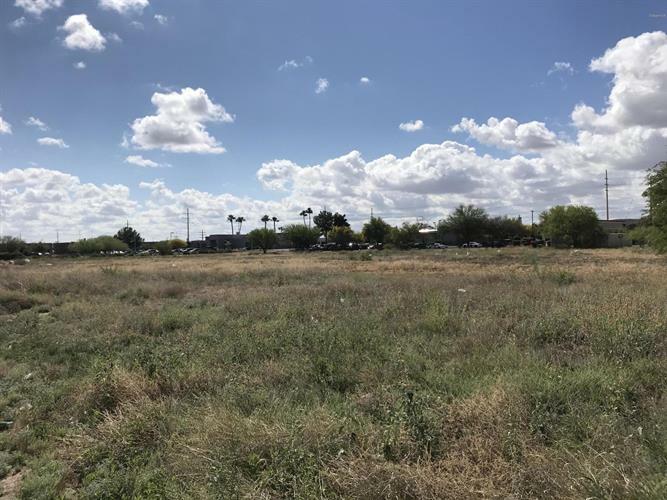 3.36 acres of vacant commercial land zoned C-1. Ideal site for Retail, Office, Medical, Senior Living, Hotel, Charter School, etc. This infill site is level with all offsite improvements completed and located about a 1/2 mile west of the I-19 Freeway. Asking price is based on $9.90/sf. This property is adjacent to major retailers such as Walmart, Walgreens, Lowe's, Fry's Food & Drug, numerous national fast food restaurants and other national retailers. This property has 2 points of ingress/egress on the west and the east side.